It seems to me that they do – broadly speaking. Paying more for a simple painkiller, for example, seems to make it work better. A study of differently packaged aspirin tablets, for example, found that those that were branded to look more expensive worked much better than those that looked plain and generic. In other words, paying ten times more for branded painkillers than for generic ones actually seems to enhance their effect. There’s nothing chemical going on. It’s the same drugs. It’s our perception of them that’s going on. We perceive something that’s more expensive as being better. Ultimately, it’s our own perception that enhances the painkilling effect. In this case, our brain produces its own natural (endogenous) painkillers. Generally speaking, looking at stats for placebos, they work better for pain in the US if they’re injected, yet they work better if they’re tablets in the UK. It’s our perception that matters. People in the US have more faith in ‘getting a shot’. People in the UK have more faith in ‘popping pills’. Studies of anti-ulcer treatments in different countries reveal a similar kind of effect. A trial of Tagamet in France found it to be 76% effective with the placebo coming in at 59%. Yet a trial in Brazil found Tagamet to be 60% effective. In other words, a placebo in France was almost as good as the actual drug in Brazil! What we believe matters. Having faith in a particular doctor is likely to mean that her or his prescriptions will work better for you. In a British Medical Journal paper a few years ago, doctors who gave a ‘positive consultation’ (for minor ailments), where they reassured the patients that they would be better in a few days, were compared with doctors who gave what were defined as ‘negative’ consultations for the same kinds of ailments, where the doctors were less reassuring. Two weeks later, 64% of those who had a positive consultation were symptom free, yet only 39% of those who had a negative consultation were symptom free. Over and above the effect of an actual medicine prescribed, and your beliefs about it, is your thoughts, feelings, and beliefs about the doctor. Did she/he listen to me? Did she/he show me empathy? Was she/he confident and reassuring? Or even, was she/he old even enough to understand my case properly? And she/he did look and sound very intelligent! These are all conversations we have with ourselves during and after a consultation. The thing is, the dominant thoughts and feelings that we settle on matter. And it would be wrong to think that any benefit of how we think, feel and believe is ‘just psychosomatic’. The contents of our minds shift our biochemistry. Placebo research suggests that our brains very often produce the chemistry that is required to deliver a result we’re expecting to happen. What does this overall kind of effect above say about our own minds? It shows us that what we think about, how we feel, and what we believe, matters. It’s not a reason to ditch our medicines, of course. Taking and acting on medical advice is sensible. But it shows that our own thoughts, feelings and beliefs about the medicines and about doctors play an important role in recovery and healing. Taking it a little further, I would even extend it and say that, for some people, their thoughts, feelings and beliefs about the medical systems, insurance companies, and even pharmaceutical companies also matters. The latter point is something I’m quite familiar with. I’m a trained organic chemist and worked as a scientist in the pharmaceutical industry several years ago. I often hear people say that they mistrust the industry in general. As such, some think of the drugs they are prescribed with suspicion; some imagine that they are poisons, or that they’re only being prescribed them so that the system can make a profit. All I can say is that most of the people I worked with in the pharmaceutical industry wanted to save lives. If you are prescribed medicine, rather than imagining it as something poisonous, imagine it instead doing the job it’s supposed to do. Picture it as an animated character swimming through the bloodstream to where it needs to go and doing what it needs to do. If you’re prescribed medicine, this is a much better use of your mind. 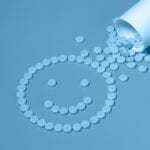 So it seems that some drugs do work better if we believe in them, or if we believe in the doctor who prescribed them. The deciding factor, it seems, is what you believe! For the study on branded vs generic aspirin tablets, see: A. Branthwaite and P. Cooper, ‘Analgesic effects of branding in treatment of headaches’, British Medical Journal, 1981, 282, 1576-1578. For the study of placebo injections vs placebo tablets in the US and UK, see: A. J. de Craen et al, ‘Placebo effect in the acute treatment of migraine: subcutaneous placebos are better than oral placebos’, Journal of Neurology, 2000, 247(3), 183-188. For the Tagamet study in France, see: R. Lambert et al, ‘Treatment of duodenal and gastric ulcer with cimetidine: A multi-centre double blind trial’, Gastroenterologie Clinique et Biologique, 1977, 1(11), 855-860. For the Tagamet study in Brazil, see: J. A. Salgado, et al, ‘Endoscopic findings after antacid, cimetidine and placebo for peptic ulcer – importance of staging the lesions’, Arquivos De Gastroenterologia, 1981, 18(2), 51-53. For the study comparing positive vs negative consultations, see: K. B. Thomas, ‘General practice consultations: is there any point in being positive?’, British Medical Journal, 1987, 294, 1200-1202. Imagine how much money the NHS or medical insurance companies would save if we could swap some of our drugs for placebos after a few days of taking them? As far as some exciting new research is concerned, it certainly seems to be a possibility. A placebo is an empty pill; that much most people know. But just like someone can learn to play tennis or hit a golf ball and get better over time, a new study has found that the brain can learn to respond to a placebo and can get better at it over time too. The research involved 42 patients with Parkinson’s disease, who had had the disease for between 11 and 24 years. It was led by Fabrizio Benedetti, professor of physiology and neuroscience at the University of Turin Medical School. It was published in the Journal of Neurophysiology. Any improvements in the patients were assessed by a) measuring muscle rigidity at the wrist and b) measuring the activity of individual neurons in the thalamus of the brain. The patients were initially given a placebo and the scientists measured their responses. After one placebo, there was no clinical improvement and no changes in individual neurons. Next, a patient was given an injection of the anti-Parkinson’s drug, apomorphine. The following day they were due to receive their second injection of apomorphine but it was secretly swapped for a placebo injection. Even though they received a placebo, there was a measureable clinical improvement and an increase in activity of neurons on receiving the placebo. That wasn’t the half of it though. If they received two doses of apomorphine before the placebo, the clinical improvement and neuronal activation was ever greater, and greater still after receiving three prior doses of apomorphine, and even greater yet if they received four doses before their placebo. Amazingly, in patients who received a placebo after four previous administrations of apomorphine, the placebo gave them the exact same physical improvement as the drug did. In other words, once the person (and their brain) learns what to expect from a drug, the drug can be swapped for a placebo – at least in the case of apomorphine and Parkinson’s disease. It’s important to point out here that this is not just ‘all in the mind’ or that only ‘weak minded, or gullible, people’ respond to placebos, which is a common sceptical response. Let’s think about it for a second: The study showed actual physical changes in the brain when a person received a placebo. It is certainly not ‘all in the mind’. And I would argue, in fact, that it takes a strong mind to cause these physical and neurological changes! It is these brain changes that lead to physical improvement. So rather than it being ‘all in the mind’, the mind, in fact, causes neurological changes in the brain. That is: a patient expects a result and this expectation alters their biochemistry to bring them the result that they are expecting. Think of what this means. A placebo is an empty pill. Typically made of sugar or chalk, it has no pharmacologically active ingredients. But in the mind of the person receiving it, she or he imagines it to be a medicine that will bring them relief or improvement. It is this imagined, expectation of improvement that activates the placebo response, altering activity in the brain and delivering the person the very result that they are expecting. So, given that healthcare seems to be all about money these days – of course, it’s about health, really, but everything seems to have a price tag! – I wonder how much scope there is, given further research, to swap some drugs for placebos after a person’s brain has learned what the drug does. Now we’re really entering the days of taking seriously that the mind impacts the body quite significantly. 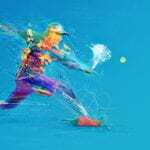 Whether you’re playing tennis, golf or even running the 100 metres, there are certain things you can do that can help you to achieve high performance. How good do you want to be? One of the most important things to know is that practice lays down neural pathways in the brain. Whether it’s a cross-court winner in tennis, an approach shot at golf or even the start in a 100 metres sprint, practice is key to laying down these pathways that make you improve at these movements. Practice creates habits in the brain and therefore the muscles, which not only helps you improve but also means that your body will know what to do in those all-important moments when you only have a split second to think. Almost every elite athlete does mental practice. Neuroscience research shows that the brain doesn’t distinguish real from imaginary. In one piece of research, the brains of volunteers carrying out repetitive movements over 5 days were compared with volunteers imagining the same movements. Amazingly, the new brain pathways were identical in both groups. So, to harness this fact, visualise yourself doing your sport, but see yourself doing everything just right. Due to the feedback between the brain and the muscles, this ensures that your muscles also learn to work in the way you’re imagining. You can also use mental practice to play shots you find especially difficult, thus speeding up the learning on the court, green, or track. One important thing to keep in mind with mental practice is that you’re not just necessarily imagining the winning result, but the physical movements you’re doing in creating that result. The 3 rules of physical and mental practice are: Repetition! Repetition! Repetition! 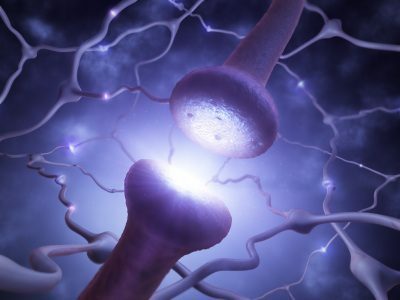 High performance requires well defined neural pathways in the brain that connect with the muscles. 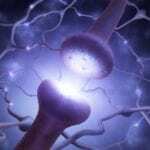 The only way to build such neural pathways is repetition of the movements. And remember, the brain doesn’t distinguish real from imaginary. Use mental practice as well as physical practice. In one-to-one competitive sports, if someone repeatedly beats you with the same shot or manoeuvre, practice countering it repetitively – both on the field and in your mental practice. Repetition wires neural pathways and thus habits into the brain. Doing it once or twice is unlikely to get your breakthrough, but doing it a few hundred times might make a real difference. Many people don’t get the breakthroughs they seek because they don’t realise how much repetition is required. It’s all about your mind and body learning what to do, and this occurs through repetitively laying down neural pathways in the brain. Stay focused, especially at the higher levels of your sport. Loss of focus for even a moment can turn a game of tennis, leave you 2 or 3 shots to catch up in golf or mean the difference between a gold medal and fourth in a race. Focus is as much a key to building a habit of winning as is training your body. A simple focus exercise when practicing is to give every shot your 100% attention. Keep your eye on the ball at all times. This is not just something you do in competition, but essential in practice so that mental focus becomes a habit. Mindfulness practice also helps because it develops the prefrontal cortex of the brain, which is the front part of the brain, above your eyes, that controls concentration. If a tennis ball is flying at you at over 200kph, tension will only slow your reaction time. Similarly, tension before an important golf shot will chop away some smoothness from the shot, introducing an error of a few to several metres. Tension in a race tightens muscles and slows speed of movement. Practice being highly alert and focused, yet relaxed at the same time. Many people think these are things you do at different times – alert one moment and relaxed in another – but it is important that you learn to do them at the same time. Focused doesn’t mean grimacing and holding your eyes and muscles rigid. Relaxing helps your trained neural pathways take over. If you’ve practiced enough then your wired habit should do the rest – i.e., your body knows what to do. 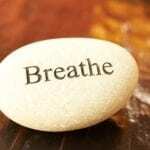 A good tip is to practice conscious breaths several times a day in a variety of different conditions and contexts. It will help you stay relaxed, yet focused, regardless of what is happening around you. How you hold and move your body affects your focus and how you feel. There’s what’s called a ‘bi-directional relationship’ between your brain and muscles. It’s why you smile when you’re happy and tense your muscles when you worry. People mostly think it just goes that one way – from the brain to the muscles – but it goes the other way too, from the muscles to the brain. To harness this, practice holding and moving your body in a way that conveys self-belief and quiet confidence. Do it on the court, green or track, but also practice it all throughout the day as you go about your life. You’re looking to create a body language habit and wire it into the brain, and this requires repetition while you practice, compete, and throughout your daily life. A will to win can be that edge that makes the difference in the latter stages of any game, when one or two points or one or two centimetres make all the difference. A will to win helps maintain high focus but it also activates trained neural pathways that ensure that your body does what it needs to do to win. Winning becomes a habit when you have a well-developed will to win. Dr David Hamilton is author of 9 books, including ‘The 5 Side Effects of Kindness’, ‘How Your Mind Can Heal Your Body’, and ‘I Heart Me’. He is a former athletics coach and also a former scientist within the pharmaceutical industry. 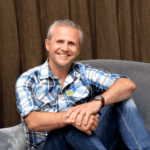 He left the latter to study the placebo effect and teach people how to harness the mind-body connection for health, wellness, and high performance in sport. 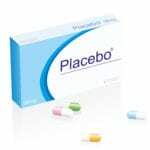 Check out my online course – Placebo School. It’s all about understanding and harnessing the mind-body connection. That’s according to new research led by Ted Kaptchuk, from the Program for Placebo Studies at Beth Israel Medical Center in Boston. It involved 97 patients who had chronic back pain. First, they were given a 15-minute explanation of the placebo effect and how it worked. Then they were randomised into two groups. One group were asked to continue with their ‘treatment as usual’ while the other group were given a bottle labelled “Placebo Pills” and were instructed to take 2-a-day as well as their usual treatment. Conventional logic would tell you that the placebos shouldn’t work. “Surely a placebo only works if you don’t know you’re getting it. That’s the whole point. It’s blind faith,” said someone at one of my talks on the mind-body connection. Here they were being told they would be taking placebos so there’s no blind faith. Yet the placebos worked, and not just a little bit. Those who knowingly took their placebos reported significant reductions in maximum pain, minimum pain, and even their usual pain – 3 different assessments of pain severity that doctors use. They even reported a substantial drop in pain-related disability. This is not to say that pain is a figment of the imagination. That is not true at all. Try saying that to someone who suffers from chronic pain. What actually happens is that the mind can produce its own natural pain killers and it is these natural ones that are responsible for the drop in pain. Result? The placebos worked. After taking their placebos, they rated their symptoms as moderately improved compared with people who didn’t receive any placebos, who reported only a slight change. How? In both these studies, the key was knowing that there is such a thing as a mind-body connection, that the mind exerts real, physical, measureable, effects on the brain and throughout the body. The mind-body connection is obvious when you think about it. What happens to males when they imagine a sexual fantasy? It can be quite obvious, if you know what I mean. The mind actually produces a substance called nitric oxide in certain blood vessels, which causes an increase in blood flow there. 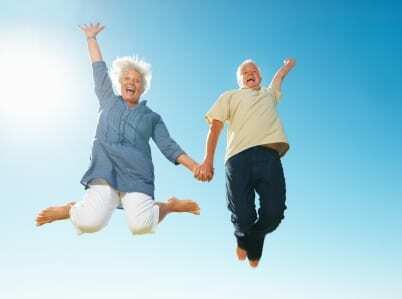 In fact, Viagra works by stimulating an enzyme to make nitric oxide. To offer a different example, when you think of something that worries or stresses you, you increase adrenalin in your body. Again, your mind alters your biology. Ultimately, it was through the mind-body connection that the above studies worked. 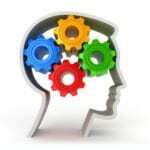 Once the patients had an explanation of how the placebo effect works – that the mind does affect the body – it planted the knowledge in their minds that their thinking and what they believe would impact their biology. Then the act of taking the placebo triggered the expectation that it could or would help. Add to that the habitual action of taking a pill and popping it in your mouth, which activates the subconscious, conditioned, expectation of a result, and there you have it. A placebo can work even if you know it’s a placebo! Now, not being a marketing person I’m really not in favour of creating different versions of the same thing and charging more for them. But given the recent news headlines, the question many people have is, ‘Is Nurofen better than Ibuprofen?’… even though they are the same thing. I know people who swear that Ibuprofen simply isn’t strong enough for them and that they find that only Nurofen works for them. They use a similar argument for Panadol vs Paracetomol, preferring to pay several times more for the branded Paracetamol. However, an interesting thing happens when you do pay more for the same thing. In the 1980s, a study was performed where over 800 women were given one of two versions of the same aspirin for headache pain. One group of women received an expensive looking version in quality packaging labelled as ‘Aspirin’, and another group received a cheap looking version in plain packaging labelled as ‘Analgesic’. However they were both the exact same aspirin, merely in different packaging and with a different name. The other two groups of women received placebos but one groups’ placebos were expensively packaged and labelled ‘Aspirin’ and the other groups’ were in plain aspirin packaging and labelled ‘Analgesic’. The expensively packaged aspirin worked better than the cheaper looking version, even though they were the exact same drug. And interestingly, the expensive looking placebo also worked better than the cheap looking placebo. And funnily enough, the expensive looking placebo was nearly as good as the cheap looking aspirin. So what’s going on? Basically, we associate price with quality so when we pay more for something, we expect it to work better. And it turns out that what we expect or believe actually changes what happens in the brain. It’s not psychosomatic! It’s not ‘all in the mind’! Research into the placebo effect shows us that belief changes brain chemistry. Believing that something is going to relieve pain actually causes your brain to make it’s own versions of morphine (known as endogenous opiates). And our beliefs about how the medicine is administered matter too. In the US, an injection of a placebo for pain works about 50% better than a placebo tablet even though they are both placebos. In the UK, it’s reversed. A placebo tablet for pain works a little better (about 10%) than a placebo injection. Why the difference? Surely if they are all placebos they should work exactly the same. Again, the difference is down to what we believe. In the US, people talk about ‘getting a shot’ and so people in the US generally believe that injections are better for pain than tablets are. On the other hand, people in the UK talk about ‘popping pills’ and so UK people tend to believe in tablets for pain. It comes down to cultural language and that language reflects what we believe. The bottom line is that things are never ‘all in the mind’. Our beliefs change our brain chemistry (and also what’s going on all throughout the body) and that change can often produce healing effects. Interesting though this is, and also an untapped resource in terms of our capacity to affect our own health if we learn some mental techniques, the issue that bothers people is that the relatively high pricing of branded medicine seems to be all about profit. I can’t say for sure that pharmaceutical companies aren’t aware of how to boost the placebo effect and that they price things higher to tap into it. I left the industry in 1999 so I’m not on the ball with their knowledge base. 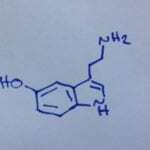 I spent four years in drug development after my PhD in organic chemistry. Given the time since I left I really can’t comment on their motivations. Certainly, my colleagues back then were definitely not knowledgeable about how the placebo effect works and the general opinion was that it was simply a nuisance that got in the way of achieving a true measure of how well a new drug was working in a clinical trial. I would say that there is definitely more to the mind than most people think. The human mind really is a relatively untapped resource in its ability to bring about changes in the brain and body. The challenge for us, really, is learning how to tap into this phenomenon and learning how to direct and control it. That’s my motivation for studying and writing about the mind-body connection. Further reading: For many studies on the mind-body connection and other mind-body phenomena, including meditation, neuroplasticity, and visualisation strategies for harnessing the mind-body connection, see my book: ‘How Your Mind Can Heal Your Body’. I’ve written a lot over the years on the subject of the mind-body connection. The origin of my interest actually goes back to when I was 11 years old and I was in the school library. A book fell of the shelf beside me. It was ‘The Magic Power of Your Mind’ by Walter Germaine. At the time my mum was suffering from depression, which had begun a few years earlier as post natal (post partum) depression. I had an instinct that the book would help my mum so I took it home. It really helped her. It didn’t cure her in a day or anything like that, but it taught her insights and strategies and gave her hope that she could chart a course through some of the difficult times. As a teenager, I often heard my mum say things like, “I can do it,” while pumping her fist, “It’s all in the mind,” “It’s mind over matter,” and “It’s the Thought that Counts,” which incidentally became the title of my first book. These were examples of my mum’s positive self-talk that she’d learned. Today we think of these as affirmations. Growing up, a fascination with the subject and possibilities of mind over matter gradually developed in me. Later, after I completed my PhD in organic chemistry, I took a job in the pharmaceutical industry. It was there that my interest and understanding of the mind-body connection went up a notch. My job exposed me to the whole area of drug development where I learned a bit about the placebo effect. I quickly became more interested in the placebo effect and the whole mind-body connection than in developing drugs and often spent hours of my spare time pondering and reading up on the subject. I left the industry after 4 years to write and speak full-time. Now, 8 books later, my interest hasn’t dropped a bit but in fact has grown considerably. When I left the pharmaceutical industry in 1999, mind-body science was in its infancy, really. 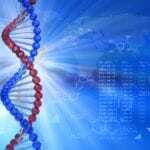 Now, there is a wealth of research showing beyond all doubt that your thoughts, beliefs and emotions cause physiological, biological, and even genetic changes all throughout your body. 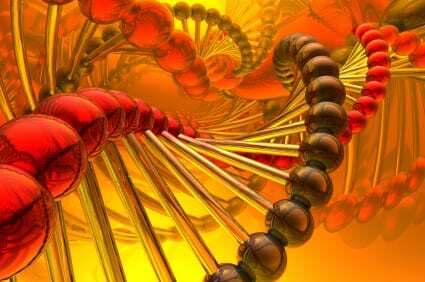 And when I say genetic changes, I’m not meaning that we change our genes or anything like that, but that our thinking changes the pattern of ‘on’ and ‘off’ of our genes. 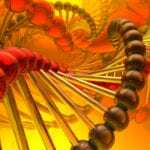 A gene might get switched on or off, for instance, as a consequence of what you’re focusing on. Thinking of someone or something that causes you stress, for example, switches on stress genes, the consequences of which can lead to constriction of the arteries. Thinking of someone you love, on the other hand, activates completely different genes, the consequences of which can actually dilate your arteries. Believing a drug will help you can cause it to work better. Believing it won’t help you often negates some (or all) of its potential effect. Paying more for a simple painkiller makes it work better than a cheaper version because of your belief that more expensive equates to better. Imagining eating can reduce appetite by signaling the brain that you’re full, imagining moving your muscles repetitively actually causes structural changes in the circuits of the brain, making those muscles stronger. 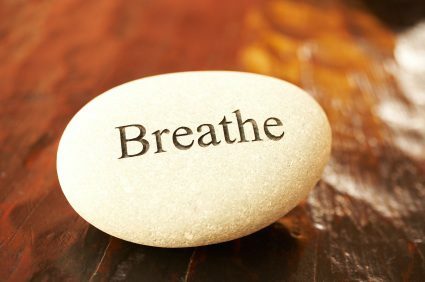 Paying attention to your breathing also causes structural changes in the brain in such a way that makes it easier to find peace amid chaos. Imagining happy things alters brain chemistry that can make you feel better. Imagining things you’re afraid of activates fear centers of the brain. Imagining moving your arm convinces your brain that you’re actually moving it, an insight from neuroscience that has reaped benefits for thousands of stroke patients, and athletes. A pilot can even fly a plane with his mind if the navigational controls are interfaced with a device that reads his brain activation. There is no doubt whatsoever that your mind affects your body. The skill in making it work for you, really, is learning to control what you focus on. And that really comes down to training, in much the same way that you learn any skill through training. So I thought I’d give you a little insight into the mind-body connection today, enough perhaps to give you some faith in yourself, that you really do have the capacity to bring about positive changes in your health by adjusting your focus. 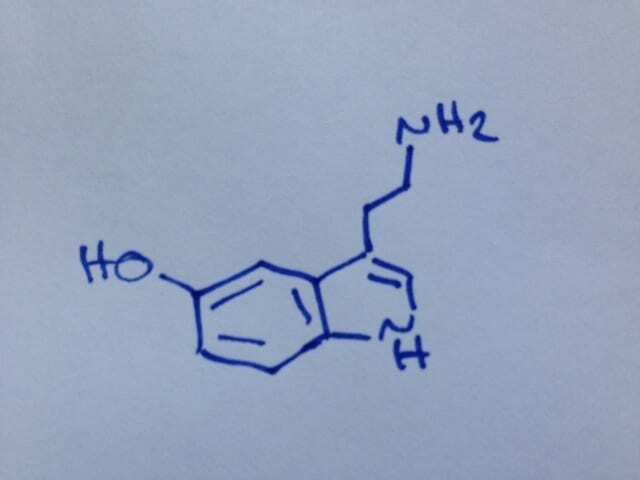 I have a PhD in chemistry and was once a professional chemist. I trained in how to build molecules and found myself working as a scientist with one of the world’s largest pharmaceutical companies. I loved ‘organic chemistry’, which is where we stick atoms together in various combinations to construct a particular shape of molecule. My specialist fields were cardiovascular disease and cancer. But even though we think of chemists as people who work in labs, everyone is a chemist and the labs we work in are the laboratories of our bodies, our homes, and the laboratories of our own lives. Here’s the different ways you’re a chemist. As you think, you practice brain and blood chemistry. When you think about someone or something that stresses you, then you produce stress chemistry in your brain and blood stream. You elevate levels of cortisol, adrenalin, norepinephrine, and histamine. Prolonged thinking like this often leads to a build up of free radicals and inflammatory cytokines in your bloodstream. These are chemicals that play a role in heart disease and ageing. And you’re doing this with your mind! If you were to think of someone that you love instead, or think of a moment of affection, so you produce different chemistry. You elevate levels of dopamine, serotonin, growth hormone, and oxytocin. If you consistently think in this way, so you increase oxytocin in your bloodstream, which helps sweep those damaging free radicals and cytokines out of your blood. It is a ‘cardioprotective’ hormone. And again, you’re doing this with your mind. To take a scientific example, research shows that a hostile mindset is linked with cardiovascular disease. People who tend to be most hostile and aggressive have a much higher risk of heart disease than the general population. 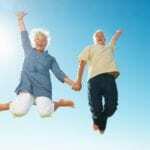 An attitude of love, compassion and kindness, on the other hand, is associated with better cardiovascular health. A hostile or aggressive mindset also shatters relationship quality. It steers conversations towards complaints and criticism and guides us away from the things that really matter. When we overly focus on what’s wrong with things or what’s wrong in the world, we get so caught up in the emotions of anger and frustration that we actually miss out on savouring special moments that happen around us. During these times, we move farther away, emotionally, from those who matter most to us. When we point the mind towards the heart and focus on what’s good and the good qualities in people, on the other hand, we sow seeds of emotional closeness. People find us more approachable and more enjoyable to be around. We gradually move closer, emotionally, to those who matter most to us, as well as build a network of people who value us for who we are. Our thinking also shapes the events and circumstances of our lives. We move towards, or attract, those things that we give most attention to. The trouble most of us have is that while we might have a goal or aspiration, we only give it a fraction of our focus. Throughout the day, a whole manner of things occupy a greater portion of our minds: how crap our current state of affairs is, how such and such a person is causing us stress, how we have too much month left at the end of our money, as well as, of course, a lot of happy thoughts too. But most of us generally apportion a larger percentage of our thinking to where we are and the woes of the past than to imagining and visioning our future. We need to flip this around a bit and learn to direct a better portion of our attention to where we want to go. Even if it’s not an event or ‘thing’ you want but a state, learn to direct more of your attention inwards, perhaps through meditation. So everyone is a chemist. I like to reflect on the fact that I started out as a chemist, left that role to study and write about the power of the mind (initially based on the placebo effect. You may have read my bestseller, ‘How Your Mind Can Heal Your Body’), and only years later realised that I never stopped being a chemist at all. I’ve just learned to practice different kinds of chemistry, kinds of chemistry that we’re all practicing in every moment of our lives. We just don’t realise that we’re doing it. Now if we do realise it, we can impact our health in a favourable way, we can nurture and build our relationships, and we can use our chemistry prowess to shape the landscape of our lives. Most people grow up with the idea that the mind is impotent, that its only function is to interpret life, think and make decisions. But the mind can be thought of as a force, one that pushes chemistry in the brain and body, one that brings love into our lives, and one that pushes outwards to create our hopes and dreams. You are much more than you think you are and far more capable than you think you are! Now believe in yourself!